Fuchsia-coloured lights glow over a miniature garden where tiny plants pack a wealth of flavour and nutrients headed for the tables of Michelin-starred French chefs. 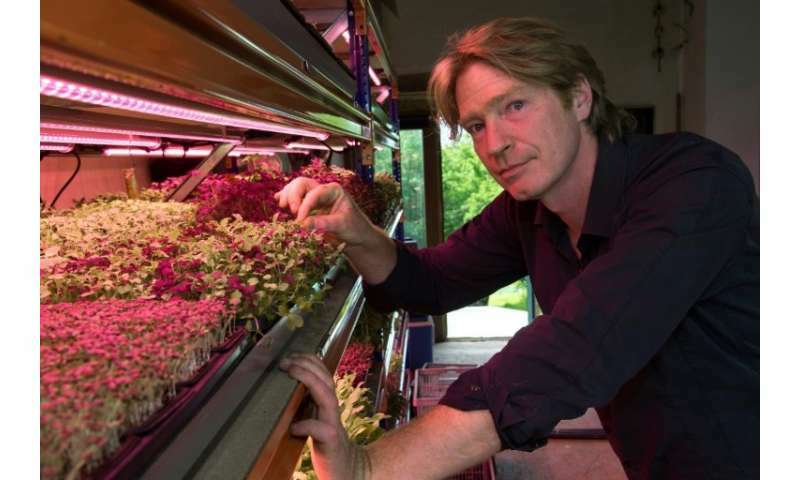 British producer Chris Kilner nurtures his "microgreens" on a farm in Saint-Jean-en-Val, a village only a couple of hours from France's gastronomic capital Lyon. "Our clients determine what we grow," says the soft-spoken Kilner, 47. "They're very demanding." Unlike sprouts that are grown in water and eaten whole, Kilner's come up in soil and are snipped just at the right time for maximum impact on the palate. They don't hang around for long. Some are only a week old when they are harvested, and none grow for more than two months. Kilner plucks a tiny leaf to check on progress, like a vintner fussing over ripening grapes. "Everyone knows what rocket tastes like, but around day 11 its taste is suddenly more precise," Kilner says as he bites into the heart-shaped, lilliputian green. "You recognise it clearly when you taste it. It's perfect, with no bitterness." The practised chef can conjure licorice from agastache microgreens; shiso is redolent of anise or cumin, depending on the variety; the big blue star-shaped flowers of the borage plant give off the fresh, crunchy quality of the cucumber. Microgreens, the young seedlings of edible vegetables and herbs, can exude the most startling flavours—mustard, wasabi, pepper, citrus, capers and even oysters—and in such high concentrations that they substitute easily for their counterparts on the spice or condiment rack. One thing is certain: the microgreen is not for decoration. "It's an ingredient unto itself; you can't do without it," said Dorian Van Bronkhorst, head chef at the Michelin-starred Atelier Yssoirien restaurant in the town of Issoire, in the Auvergne region near Kilner's farm. "It's a flavour enhancer that adds finesse and colour, as well as acidity or sweetness." The self-taught entrepreneur is a former robotics engineer who helped develop the humanoid robots Nao and Pepper for Aldebaran Robotics. Once they went into mass production, Kilner was ready leave the high-tech world to spend more time with his wife Virginie Vial, a 46-year-old development economist, at the family farmhouse. It was in 2016 that Kilner went microgreen, partly inspired by his wife's fondness for growing her own soybean sprouts and others. 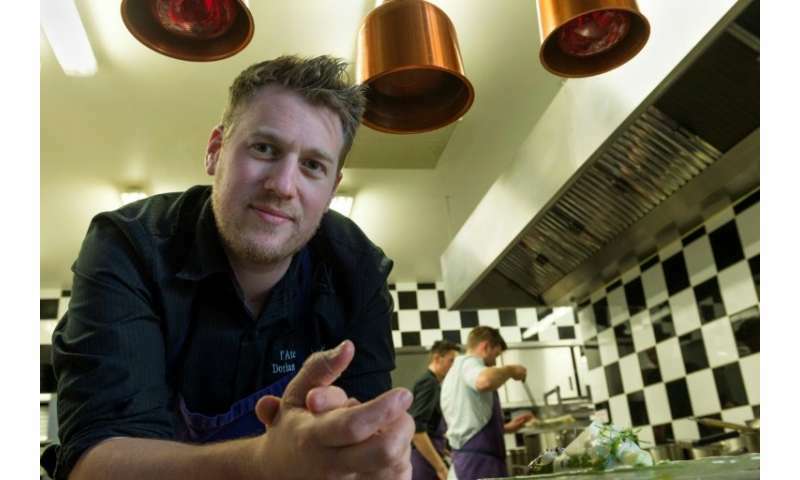 Kilner's company Radix—from the Latin for "roots"—supplies Van Bronkhorst and dozens of other chefs in the region, including many boasting Michelin stars, with a turnover of around 50,000 euros ($58,000) last year. 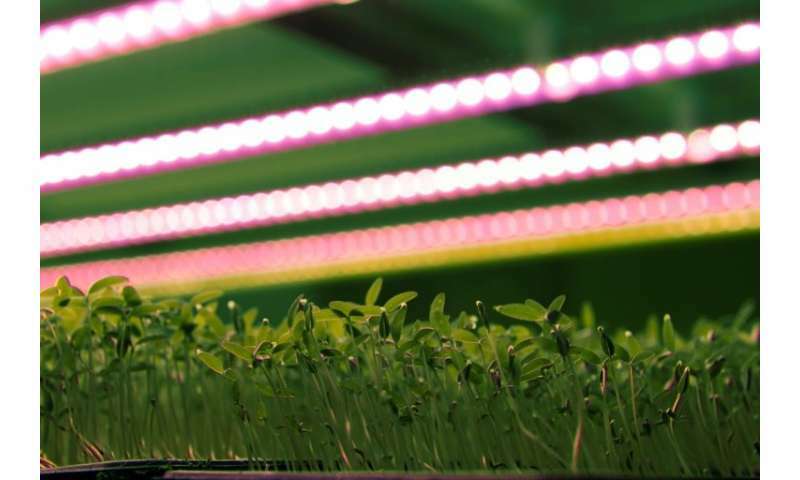 With such tiny crops—around 50 microgreen varieties sprout under special lamps or in miniature greenhouses—Kilner operates in a space of some 500 square metres (5,000 square feet). But thanks to growing demand—"most big chefs use microgreens," he says—Kilner may move to a bigger space in the autumn. The key to his success? The only inputs are water and a keen attention to detail. "I'm not a magician," Kilner says. "You have to keep tasting all the time, and it's your taste buds that guide you." Before Kilner set up shop here, French chefs have relied on the Dutch company Koppert Cress, which has enjoyed a near-monopoly in France. The difference with Kilner is that he delivers his microgreens in the soil they sprouted in. "You're sure of getting the product in season, ultra-fresh, and you cut it only as you are putting it on the plate," said Cyrille Zen, who runs the Michelin-starred La Bergerie de Sarpoil in Saint-Jean-en-Val. While chefs began coveting microgreens about a decade ago, they are also prized for their nutritional value. According to a study published in 2012 by the Journal of Agricultural and Food Chemistry, microgreens contain four to 40 times the vitamins and antioxidants of their mature counterparts.